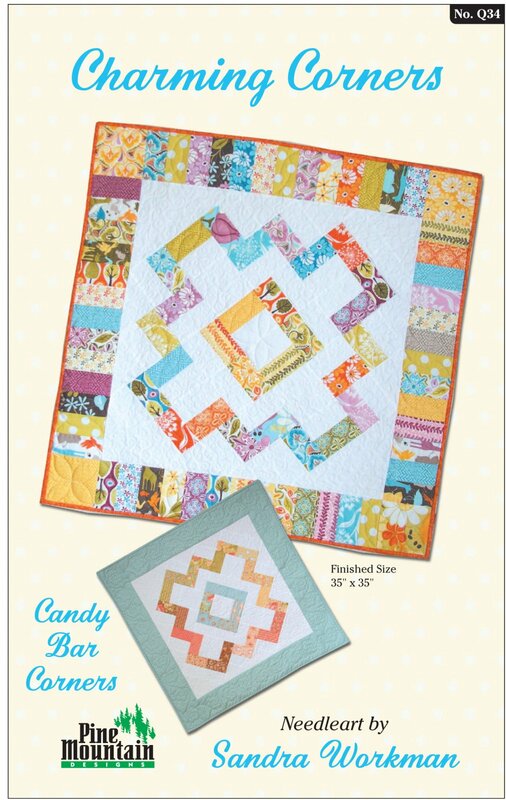 Show's a new angle on a charm pack quilt. A single charm pack and a bit of white creates this stunning piece. A simplified version is easy to create using a single Candy Bar. Both versions are included in the pattern. Finished size 35" x 35". Includes pattern, instructions, and color photograph.